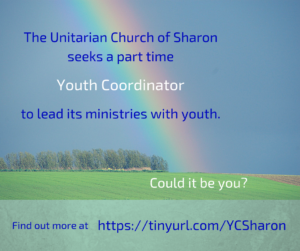 The Unitarian Church of Sharon has two partner church relationships. Through the Unitarian Universalist Partner Church Council, there exists a long-standing partnership between the Unitarian Church of Sharon and a small Unitarian congregation in Gyulakuta (Fintinele), Romania. This partnership helps to support the Gyulakuta fellowship and to foster ties with fellow Unitarians in Transylvania. Assistance on a regular basis is provided for car maintenance and fuel to help the minister reach three congregations and their members. Funds are raised to support special needs that are identified by the minister. We pay for each Gyulakuta member to receive the national Unitarian magazine and we help one of their youth attend high school. Reverend Erika Demeter, former minister of the Gylakuta Fellowship, and her family felt welcome among us. It was enlightening to experience our connection with the Unitarians of Transylvania firsthand. And it was fun, for them and for us. Erika wrote after her return to Rumania: I am really happy to hear the news that some people would love to come to Transylvania. We will be very happy to give back the hospitality that the congregation and especially the Paul and Colleen Tuck family gave us. When we began our trip, I had a feeling that we were like the “holy family” looking for a place to stay. As the days went by our experience was much different than that of the story because we found everywhere warm with hospitality and wonderful people. Since then Rev. Demeter has moved on to serve another Unitarian congregation. The current minister is now Rev. Tokes Lorant with whom we are in email correspondence. Our church member, Colleen Tuck, visited Rev. Lorant and the congregation in September 2015. 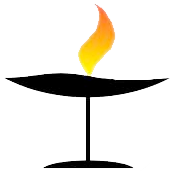 There are over 200 Unitarian congregations in Romania, in cities, small towns, and villages. Our partner congregation, Gyulakuta, is in some ways typical and in others not. Unlike many of the Unitarian churches which date back centuries and occupy simple but beautiful old buildings, the Gyulakuta congregation is very small and fairly new, in a town with no Unitarian tradition, and has no building. Now a town of 6000, the village of Fintinele/Gyulakuta was chosen by the government in the ’60s as the site of an enormous power plant and other industry, built right in the center, with large concrete apartment blocks to accommodate the workers. Thus although it is in a beautiful, picturesque rural area, it is not a particularly scenic town. Like a number of state-owned industries started under Communism, the plant was poorly constructed and maintained and did not fulfill its potential. Most of the members of our partner congregation moved to Gyulakuta from other small towns for work. They include teachers, office and factory workers, a few small farmers, and retirees (who live on small pensions badly eroded by Romania’s chronic inflation). Like many people in Transylvania, their first language is Hungarian. Transportation to other towns with Unitarian churches is not easy, so they formed this small and struggling fellowship, which meets on Sunday afternoons in the hall of the local Calvinist church. Their minister, Erika Demeter, conducts their services once a month and on holidays. They have little in material goods, but are rich in strength, good will, good humor, and friendship for each other. In September of 2015 we began a partnership with the Unitarian Church located in Portsmouth, England. Portsmouth is located on the south coast (on the English Channel) and is a 90 minute train ride south of London. Two members of the Portsmouth congregation spoke in Sharon describing their congregation and their enthusiasm about being partners with us. There are about 4,000 Unitarians in Britain (both English speaking and Welsh speaking). The congregations are small compared to UUA churches. The Portsmouth Unitarian Church has around 60 members and a handful of children and youth. Currently they are in between settled ministers. Like the Unitarian Church of Sharon, they are diverse in their philosophical and theological viewpoints and celebrate that broadness of thought. However, they do honor their Christian roots more openly than we do and will often sing the Lord’s Prayer during a Sunday service. 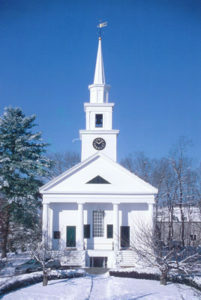 The congregation is named after John Pounds (1766-1838). John Pounds was raised in Portsmouth. An accident during his youth left him permanently injured. He became a cobbler. His shop was located next to the church and he was close friends with the Unitarian minister. John Pounds began one of the first “ragged schools” for children (boys and girls) who were homeless or destitute. In his little cobbler shop he provided them with an education, love, encouragement, and job skills. The Unitarian Church and the building where John worked were destroyed by the bombing blitz during WWII. They have both been rebuilt and a small museum about John Pounds is part of the Unitarian Church site and building. All year long children and adults come to visit and remember the inspiring example of John Pounds.